The Pic-a-daily Project: All work and no posts..
All work and no posts..
..makes this blog a pic-a-once-in-a-while! Wide gap between posts this time. In the battle between posting everyday & work, work wins pretty much all the time. And with the Ramadan working hours in place, it means lesser official hours to do whatever you gotta. It's been a busy month overall. 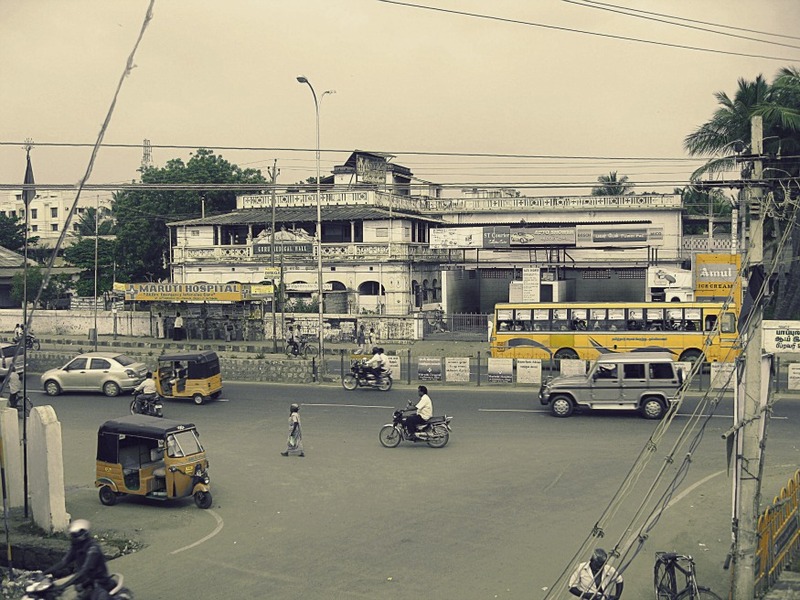 And when i think busy, I'm thinking of Trichy. I've written about my fondness for the yellow that's woven into their lives out there. As seen from the first floor of the Demonte residence.